Chickpea puree mixed with sesame oil, lemon juice & olive oil. Chickpea puree with hot green chilli, parsley, sesame paste & lemon juice. Finely chopped & grilled eggplant mixed with sesame oil & lemon juice. Finely chopped parsley, tomato, fresh mint, onion, a touch of white pepper & crushed wheat mixed with olive oil & lemon juice. Vine leaves stuffed with rice, tomatoes, onions, parsley & spices. Lebanese cream cheese topped with mint & cucumber. Yoghurt with fried aubergine, salt, herbs & olive oil. Fresh chicken cooked with herbs. Fresh lamb cooked with herbs. Lettuce, tomato, cucumbers, parsley, mint, onion, raddish & fine Lebanese spices with lemon juice & olive oil. Lettuce, tomato, cucumbers, parsley, mint, onion, raddish, summac & toasted Lebanese bread with lemon juice & olive oil. Lettuce, tomato, cucumbers, parsley, mint, onion, raddish, summac & toasted Lebanese bread with lemon juice, olive oil & pomegranate sauce. Fresh tomato with finely chopped parsley, onion & dried mint. Lettuce, tomato, cucumbers, parsley, mint, onion, green chilli & fine Lebanese spices with lemon juice & olive oil. With yoghurt, finely cut cucumber & dried mint. sliced lamb or sliced chicken. Chickpea puree, sesame paste & lemon juice topped with sliced lamb or sliced chicken. Sesame paste & lemon juice topped with sliced lamb & chicken. Deep fried lamb meatballs mixed with cracked wheat & onions, filled with sauteed minced meat & onion. Deep fried bean & fine herbs croquettes, served with tahini sauce. Cubes of grilled potato sauteed with garlic, coriander, sweet pepper & chilli. Fried aubergine baked with tomato, onions, chickpeas & sweet peppers. French green beans cooked with tomato, onion & olive oil. Okra cooked with tomato, onion, fresh coriander & olive oil. Charcoal grilled marinated chicken wings served with garlic sauce. Deep fried Lebanese pastry stuffed with halloumi cheese & parsley. Deep fried Lebanese pastry stuffed with minced meat, onions & pine nuts. Baked Lebanese pastry filled with spinach, onion, pomegranite & pine nuts. Baked Lebanese pastry topped with thyme, sesame seeds, herbs & olive oil. Baked Lebanese pastry topped with cheese, herbs & olive oil. Baked Lebanese pastry topped with lamb, herbs & olive oil. Baked Lebanese pastry topped with halloumi cheese & mint. Baked Lebanese pastry topped with seasoned minced lamb. Baked Lebanese pastry topped with thyme, sesame seeds, herbs, olive oil & sweet chilli. Roasted thin slices of marinated prime lamb & chicken, sesame sauce & garlic, onion, parsley with Lebanese bread. Roasted thin slices of marinated prime lamb, sesame oil sauce, onion, parsley with Lebanese bread. Roasted thin slices of marinated chicken breast, garlic sauce & Lebanese bread. Roasted thin slices of marinated prime lamb or chicken, with spices, sesame sauce & garlic, onion, parsley with Lebanese bread. Cubes of chicken breast marinated in garlic, lemon juice & olive oil then grilled on skewers. Skewered minced lamb, onions & parsley grilled on skewers. Skewered minced chicken grilled on a skewers. Lamb cubes, minced lamb & chicken cubes. Lamb cubes, minced lamb, chicken cubes, chicken & lamb shawarma. Served with onions & tomatoes grilled on skewers. Marinated skewered lamb, grilled to perfection combined with vegetables. Marinated skewered chicken, grilled to perfection, combined with vegetables. Marinated skewered king prawn, grilled to perfection, combined with vegetables. Minced chicken, chicken cubes & chicken shawarma. Minced lamb, lamb cubes & lamb shawarma. Tomatoes, onions, mushrooms & peppers. Minced chicken, chicken cubes, chicken shawarma & chicken wings. Lamb cubes, minced lamb & chicken, chicken cubes, chicken & lamb shawarma & chicken wings. Served with onions & tomatoes grilled on skewers. Fresh sea bass grilled, served with tahini sauce (tartare). Fresh king prawns grilled. Served with the chef`s special spicy sauce. Fresh salmon grilled, served with tahini (tartare). Served with vermicelli rice & lamb. Roasted thin slices of marinated prime Lamb & Chicken, sesame sauce, garlic sauce, parsley, tomatoes & pickles with toasted Lebenese bread. Roasted thin slices of marinated prime lamb, sesame sauce, garlic sauce, parsley, tomatoes & pickles with toasted Lebanese bread. Roasted thin slices of marinated prime chicken, sesame sauce, garlic sauce, parsley, tomatoes & pickles with toasted Lebanese bread. Fried mixture of chickpeas, beans, onions, garlic, spices, served with sesame sauce, parsley, tomatoes & pickles with toasted Lebanese bread. Roasted thin slices of marinated prime lamb, sesame sauce, garlic sauce, parsley, tomatoes & pickles wrapped in Lebanese bread. Roasted thin slices of marinated prime chicken, sesame sauce, garlic sauce, parsley, tomatoes & pickles wrapped in Lebanese bread. Roasted thin slices of marinated prime lamb, chicken breast, sesame sauce, garlic sauce, parsley, tomatoes & pickles wrapped in Lebanese bread. Grilled skewers of chicken cubes, garlic sauce, tomato & pickle wrapped in Lebanese bread. Grilled minced lamb onions, parsley, tomatoes & pickle wrapped in Lebanese bread. Fried mixture of chickpeas, beans, onions, garlic, spices, served with sesame sauce, parsley, tomatoes & pickles wrapped in Lebanese bread. Grilled minced chicken, onions, parsley, tomatoes & pickle wrapped in a Lebanese bread. wrapped in a Lebanese bread. Grilled minced lamb, onions, parsley, tomatoes & pickle wrapped in a Lebanese bread. Cypriot cheese, tomato & cucumber, wrapped in Lebanese bread. Cubes of potato fried with fresh coriander, peppers & garlic wrapped in Lebanese bread. Lebanese milk pudding topped with rose water & syrup, sprinkled with pistachios. The food is always good from this restaurant. The food was delicious and exactly as described on the menu. The service was quick and friendly. Food arrived on time, hot and delicious. Tasty and great quality. A little expensive but maybe you have to pay that little extra to get something so delicious? This is the first time I ever write a review. Highly satisfied with service, hygiene & food quality from these guys. I always regret it when I switch to another restaurant. The best in Newcastle. Please keep up the good work. The best food ever ! FAAAANNNNNTASTIC!!! LOVELY FOOD AND SERVICE!!! THE VERY BEST!!!!! FAAAANNNNNTASTIC!!! LOVELY FOOD AND SERVICE!!! food arrived prompt and hot. very tasty, good portion sizes, and no skimping on sauces and garnishes. will order again! Quality food, quick delivery. 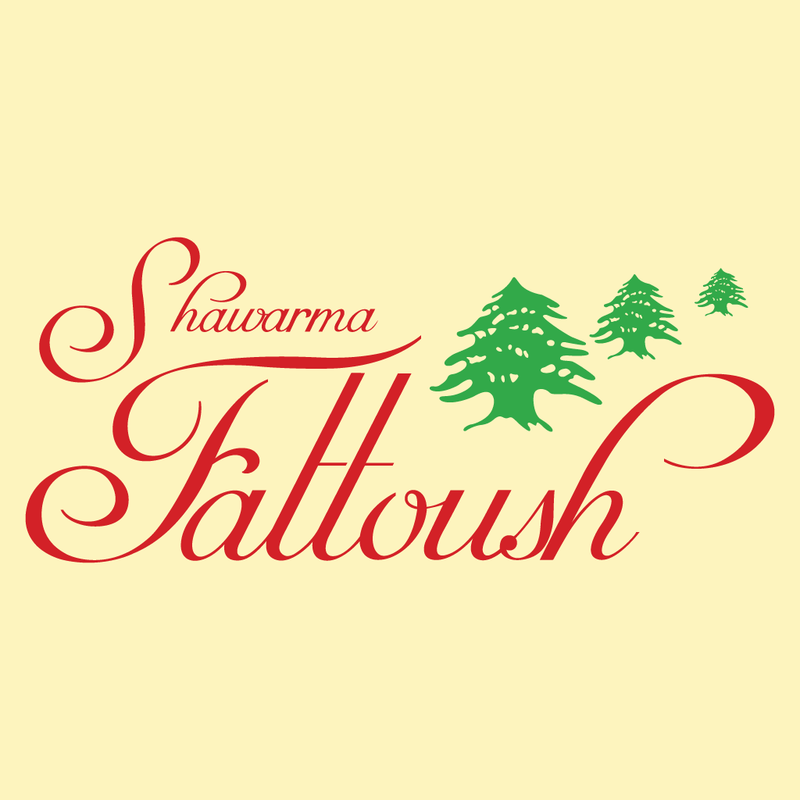 Best Lebanese food in Newcastle. Also enjoying the new app with the 10% discount! Many thanks.